A simple brown box is left on your doorstep. You open this box and reveal a gleaming white gift box with a gorgeous gold rope handle. 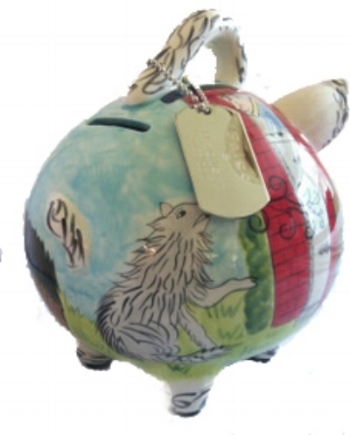 You flip open the lid and there it is....a gorgeous, hand painted piggy bank. You lift this new addition to your home and upon further inspection you notice that attached to the handle is a weighty silver or gold engraved hang tag with the name of your new, precious baby. A gift to remember for generations. 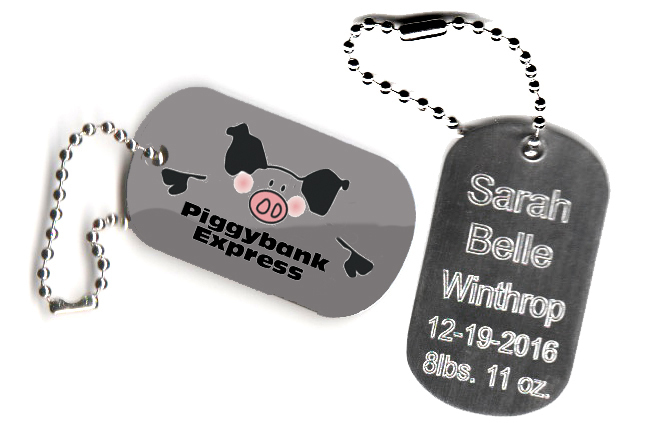 At Checkout, please choose our gorgeous, heavy weight tag for your piggy bank. It's only $12 and will mean so much to your child for years to come.